What do you look for in a backpack? I’ve had my Kakadu backpack for over eight years and I use it everyday. 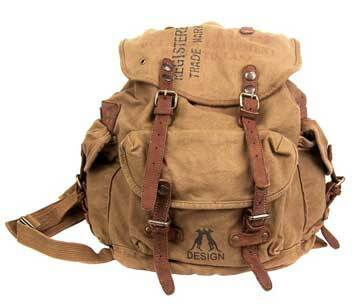 I love the many different pockets and the rugged look. My Kakadu backpack owes me nothing. It has taken a lot of abuse and still holds up but I am replacing it with a new Kakadu backpack. These have not been available for quite some time so I was very pleased when I was able to grab a few for me and my customers. One of the things about my old Kakadu backpack I noticed that needed repair was the canvas strap handle at the top of the bag. Lo and behold, Kakadu read my mind. The new Kakadu backpacks now come with a nice slice of leather trim sewn into the handle to add strength and reinforce the handle. I love the upgrade. Good job Kakadu! Snugpak’s specialized antibacterial and antimicrobial treatment is on the outer and linings of all the Snugpak Travelpak bags and acts to discourage the growth of bacteria. This results in a reduction of odors and the need for regular laundering, ideal for prolonged tropical travel where temperatures may be high and facilities limited. The Paratex base fabrics wicking properties and high breathability remain unaffected byb the bacteria busting treatments. The built in mosquito net which has been tried and tested in previous year’s in the Travelpak Traveler and Jungle bag sleeping bags has now been included in the rest of the Travelpak series. this “ingenious roll away when not in required” solution provides a natural way to protect yourself from insects. It is even possible to seal the sleeping bag when not in use to ensure you don’t have any creepy crawly company later that evening. Whenever you try on backpacks, you shouldn’t bother trying it on unless you’ve loaded some weight into it. You want to try loading in about 15 – 20 pounds just enough so the backpack saddles correctly on your back. Remember to take advantage of all of the adjustments that come with the backpack including the hip belt and shoulder straps. Feel free to fine tune these adjustments during your trek in order to find the right comfort level for you. 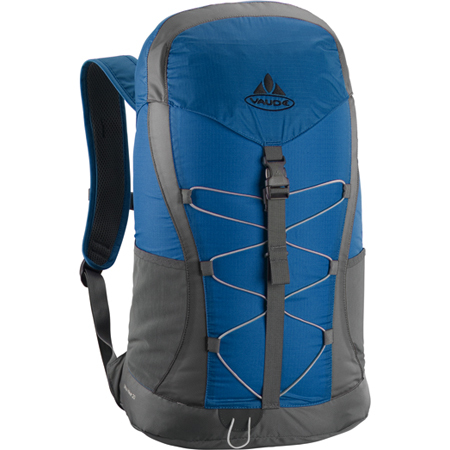 At Lorsey.com we carry the popular Kakadu backpack as well as mountaineering packs from Alps Mountaineering, Vaude and Snugpak. Same as the original yet twice the comfort. The Trekker II Mat is based on the original Trekker Mat but with 2 valves for quicker inflation & deflation and double the thickness. Some end users have been requesting a thicker mat for some time now for greater comfort as well as enhanced insulation properties. With its 2 inch thick foam core the Trekker II mat achieves this. It rolls to similar size and diameter of the traditional green military foam mat but with much more comfort while at the same time creating a nice insulating barrier between the user and the cold ground. Add Proforce Equipment to you camping and survival gear. Snugpak Blizzard just sounds warm, doesn’t it? 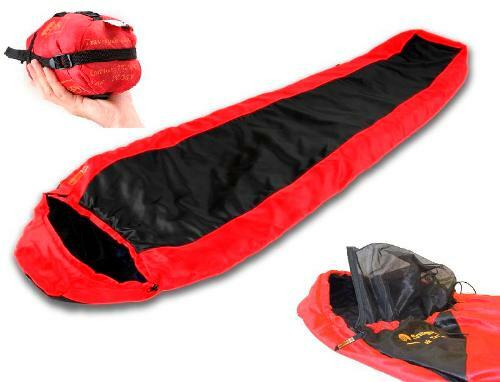 Snugpak has been a leading clothing and sleeping bag manufacturer in Europe for years. They use different variations of Paratex material for their different products. Paratex Light is highly windproof and water repellent. Paratex Micro is exceptionally tough yet breathable and Paratex Xtreme offers a balance between aesthetics and performance. At Lorsey.com we carry all of the Snugpak sleeping bags, jackets and backpacks and we will soon be adding the newest tents and ruck sacks. Broke college students don’t have a lot of money to spend on luxury vacations, so finding cheap alternatives is a must. For some time my friends and I had wanted to go on a weekend getaway. After tossing around ideas for a road trip to an amusement park or the beach, we settled on camping in a national park a few hours drive from the campus. We’d all been in the Girl Scouts and Boy Scouts, so we already owned all the equipment we needed, so all we had to pay for was food and the $15 to use a campsite. The trip started out on a high note, with all of us excited to make s’mores, sing camp fire songs, and tell scary ghost stories. We set up camp straight away and got to gathering fire wood for the evening bonfire. Minutes after we got the fire roaring the skies opened. It didn’t stop raining the entire weekend. Thank goodness we had pitched Eureka tents specially designed for wet weather because we stayed inside the entire weekend, munching on cold food, telling stories, and hoping the rain would let up. Don’t get me wrong; we still had a lot of fun, but next time we’ll be sure to check the forecast beforehand. One of the great things about living in Maine is that we have access to all sorts of free camping sites. Complete with a picnic table, fire pit and plenty of water make these sites very desirable. So what would be on your check list for things to bring with you for an enjoyable weekend of camping? How about cooler full of ice? Unless you plan on eating all Wise Company freeze dried eats you’ll want to chill your food and drink in a cooler. Bags of ice are available at many local Maine stores in either 5 or 20 lb. bags. How’s this for a quick snack idea while out and about? Fried dough balls will make a tasty treat. Simply mix up 1 cup flour, 1 tsp. baking powder, 1 Tbsp. sugar (or more), 1/4 tsp. salt, 1 Tbsp. butter and 1/3 cup milk. Mix dry ingredients, blend in butter, stir in milk until dough is soft, knead a bit and roll into bite size balls. You may want to mix the dough up ahead of time. When you are ready to start cooking, simply heat up some peanut oil in your Jetboil Group Cooking System. Drop the dough balls into the hot oil and turn them so they brown up all over. They can be served hot or cold. Sleep on the ground? I think not! Not everybody has the luxury or comfort of an RV when they go camping. In fact camping in an RV is not really camping now is it? That doesn’t mean you have to be uncomfortable when you sleep in your “fancy” tent. You have options. Proforce Equipment offers the Multimat sleeping mat that provides exceptional warmth and comfort. Alps Mountaineering makes a variety of cots for those campers that want to sleep up off of the ground. At Lorsey.com we carry only the best discount camping gear and survival gear. If there are items you desire but don’t see on my site just send us and email and we will get it for you. Please email me for availability because these Jetboil items are selling out fast. The Jetboil cooking pots and personal cooking systems are great for cooking for small groups while camping or hiking. Bring a half a liter of water to boil in two minutes. Try this delicious recipe. Sear a small pot roast in a Jetboil GCS. Turn the heat down as far as it will go and then add a can of mushroom soup, a package of onion soup mix and a can of soda. Cook for about 40 minutes and then enjoy!